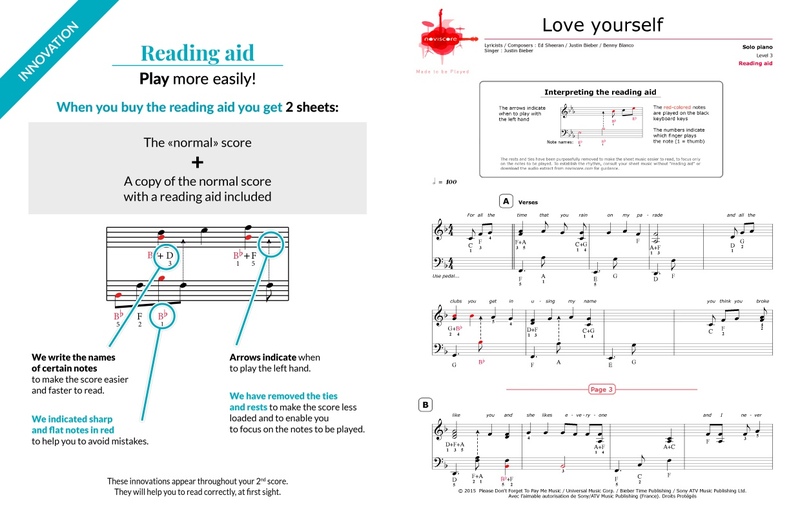 Justin Bieber's massive hit Love Yourself adapts perfectly for the piano, despite the guitar being the accompanying instrument in the original version. 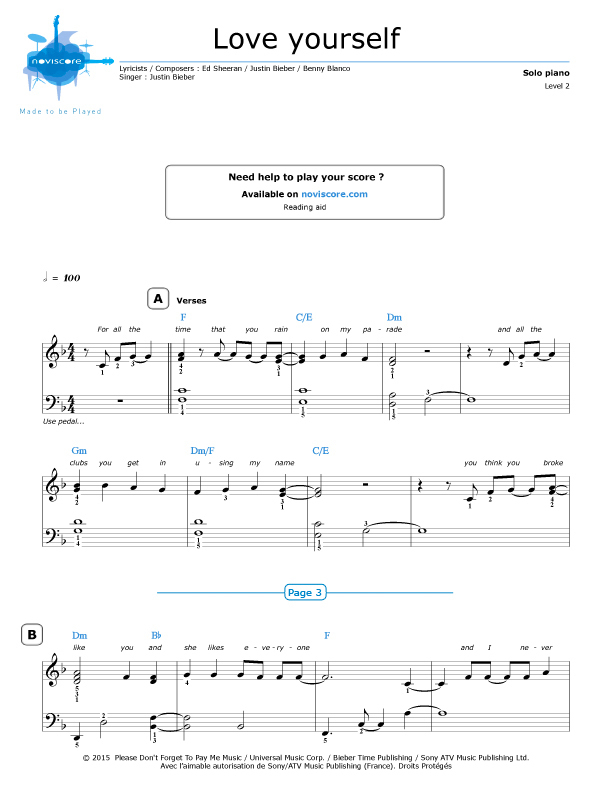 This pop-rock ballad was written by Ed Sheeran, Benjamin Levin & Justin Bieber himself and was released in 2015 as a single from his 4th studio album Purpose. 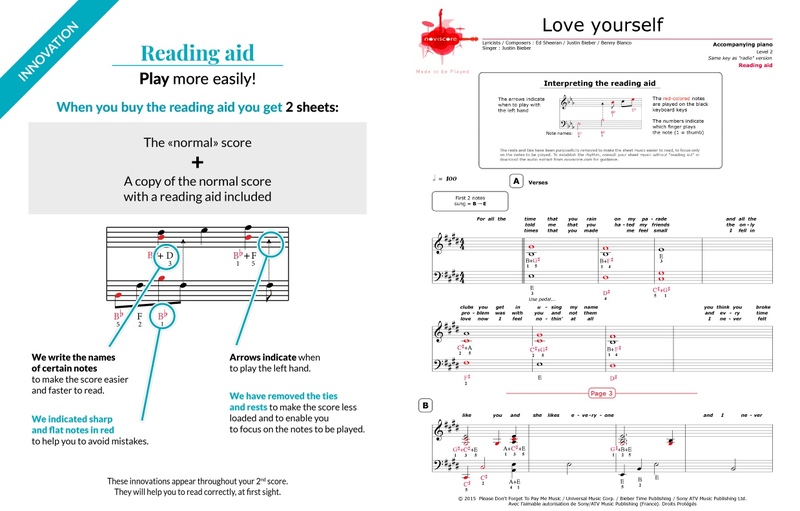 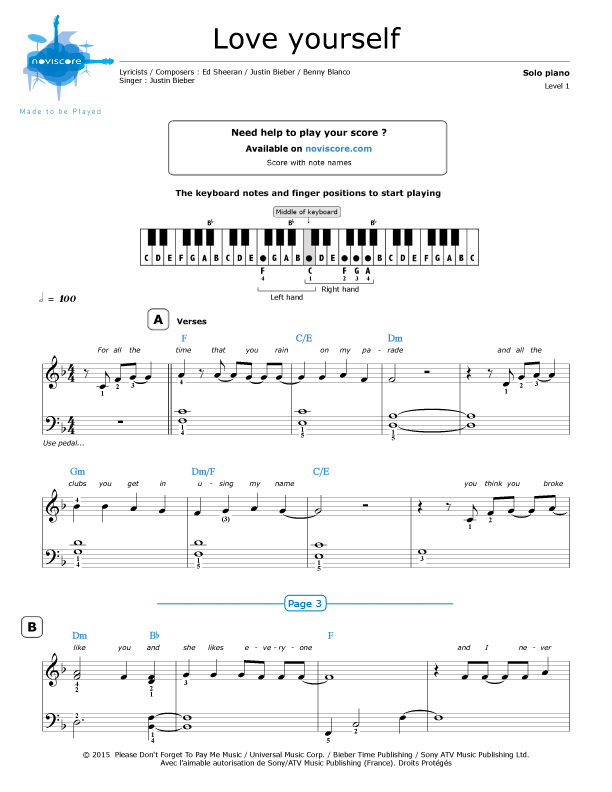 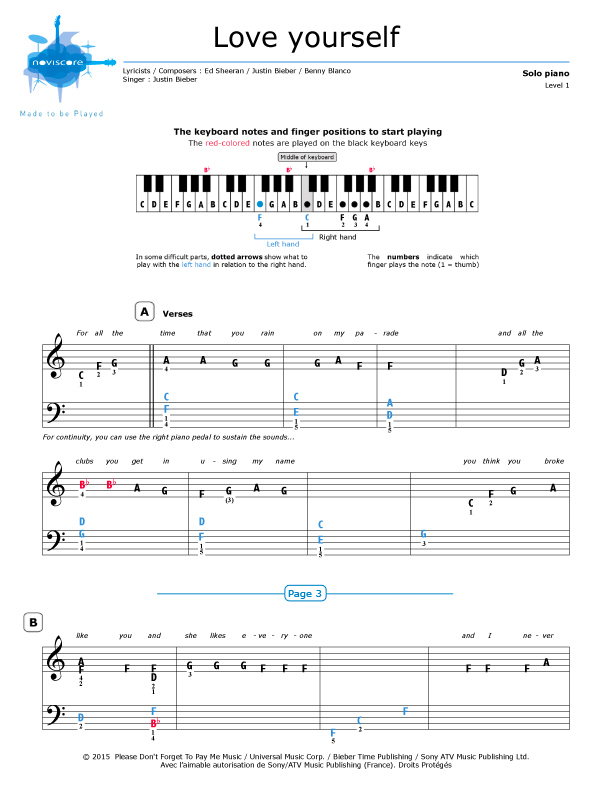 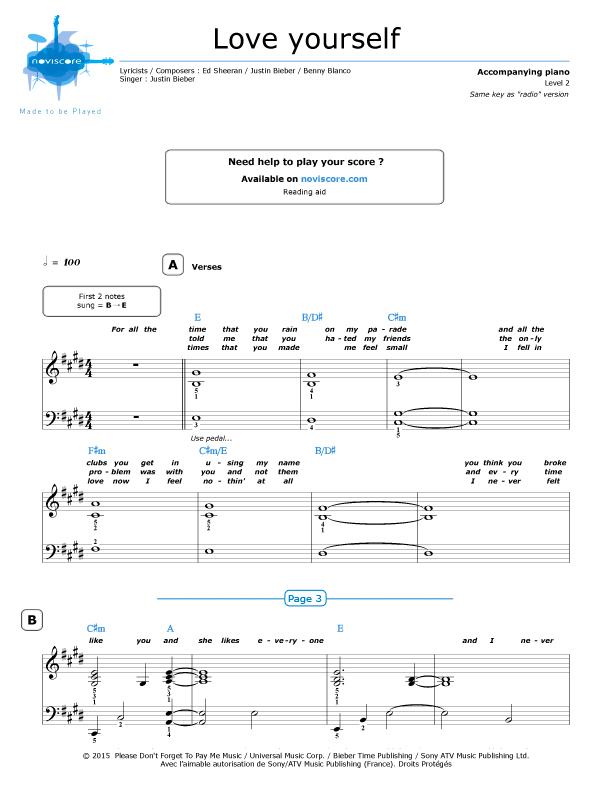 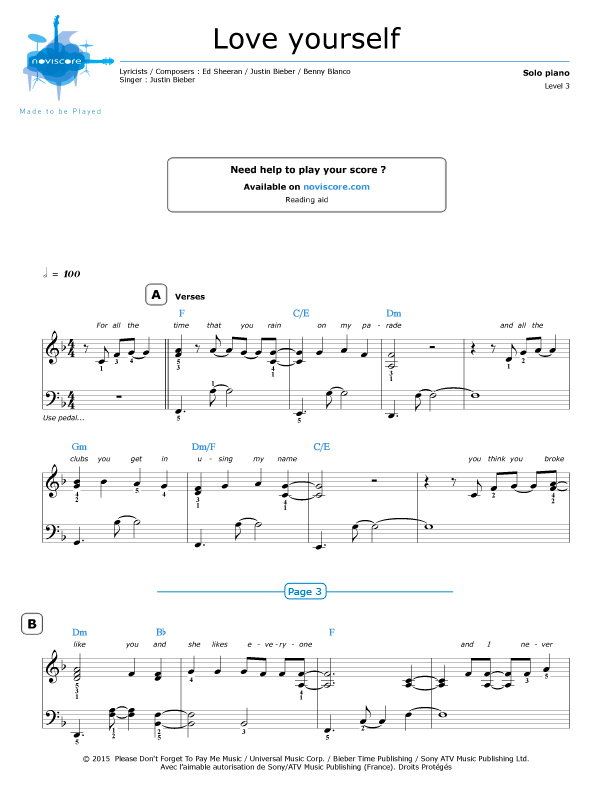 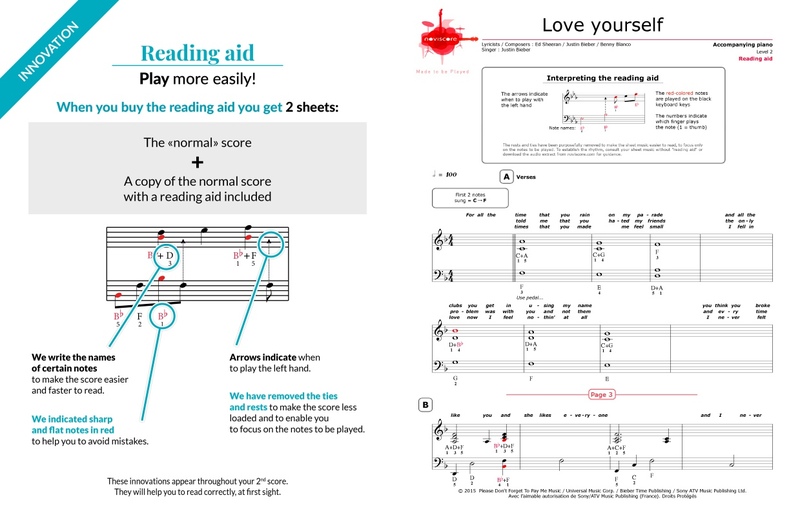 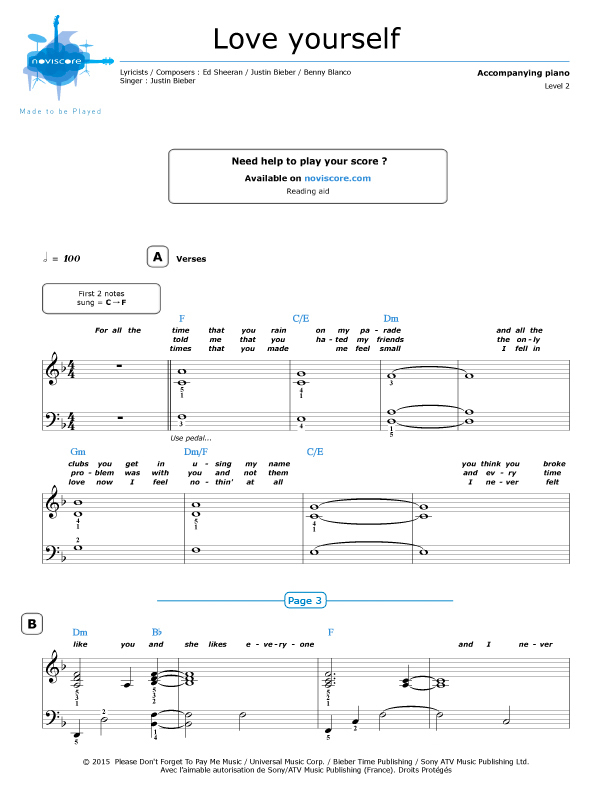 Our Love Yourself piano sheet music is available in different skill levels for piano solo and piano accompaniment, with reading aids if required.